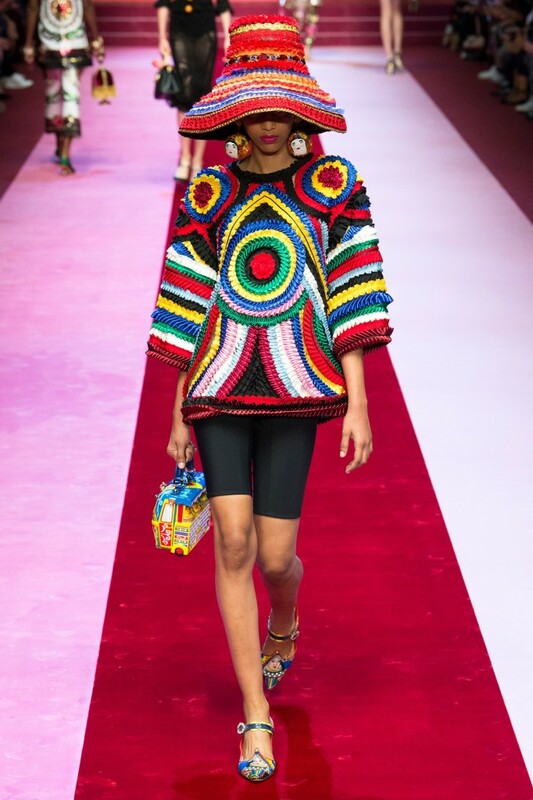 “Ugly-pretty” fashion trends have been making a mark on the runway over the past few seasons, from Balenciaga’s platform Crocs to Miu Miu’s socks with sandals look. Another surprising trend of the spring season was the return of the spandex bike short, and we’re not talking for cycling. From New York to Paris the bike short took center stage and somehow it looked new again, especially when paired with a tailored jacket, a chunky sweater or… are you ready… for eveningwear! But at UoF, we think the trend has more to do with the industry’s fascination with streetwear, youth culture and ‘looking fit’ (even if you haven’t hit the gym in years)! Just look at the buzz surrounding labels like Supreme and Off White and streetwear newcomers: LA-based brand BornxRaised, the Japanese brand Doublet, Metropolitan US, MISBHV and Supreme’s ex-Creative Director Brendon Barbenzien’s brand, NOAH. They sell ‘cool’. And who doesn’t want to look cool? Either way, it’s the latest trend and we’re predicting that it will make its way to the mainstream fashion-loving consumer by the summer. And oh, let’s face it, in our sustainability-conscious world, some of us still have our 80s bike shorts in our closet! What a great way to give them a face lift? 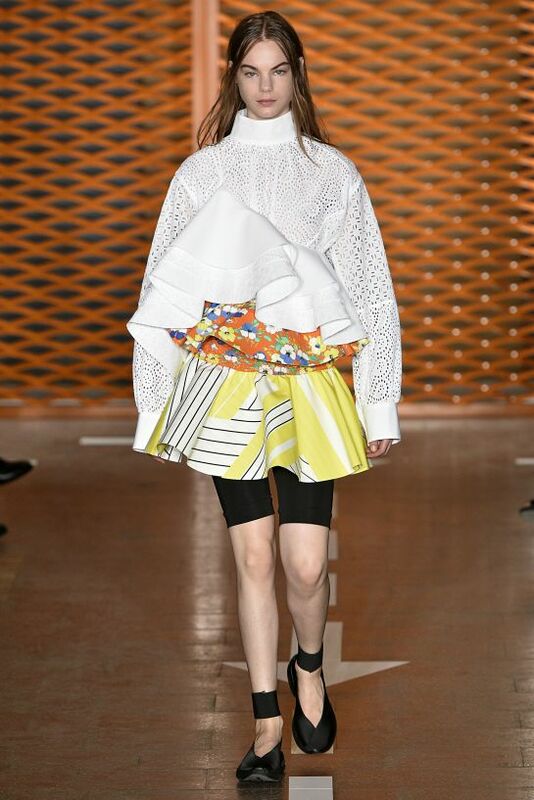 Here are some bike short pairings from MSGM, Nina Ricci and Saint Laurent worn under oversized jackets, dresses, and skirts, which definitely added an extra layer of interest. Virgil Abloh, the creative director for Off-White, was inspired by Princess Diana’s daily trips to the gym, and interpreted some of her most iconic looks for his spring 2018 collection, most notably, her biker shorts. So, how did Abloh interpret Diana’s biker short look? Well, it was the show’s finale. 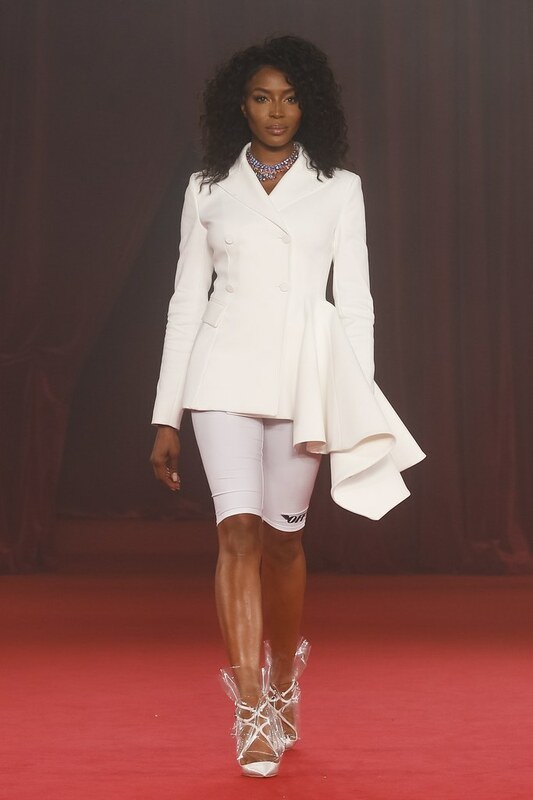 Supermodel Naomi Campbell (who once participated in a prank orchestrated by Diana) brought down the house in a pair of white bike shorts under a white double-breasted blazer. Could this look qualify as a runway wedding outfit finale, 21st century style? So tell us, will you give the biker short a test run this summer? Send us pics of your own bike short pairing!